5th MG Battalion - NOTE When looking for names associated with this unit you will need to also check the 8th (/explore/units/337) (/explore/units/337), 14th (/explore/units/186) (/explore/units/186), 15th (/explore/units/160) (/explore/units/160) and 25th (/explore/units/462) (/explore/units/462) MG Companies. 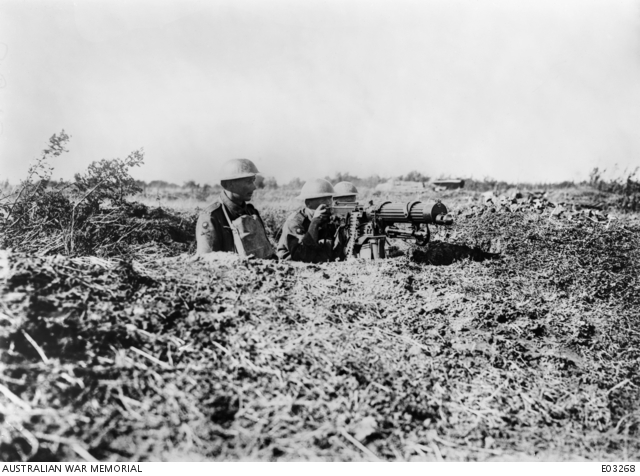 Early in the war, each Infantry Brigade had a Machine Gun Company under command. They were designated with the same number as the parent Brigade. In March 1918, the Companies were aggregated into Machine Gun Battalions under Divisional command; the battalions were similarly designated. 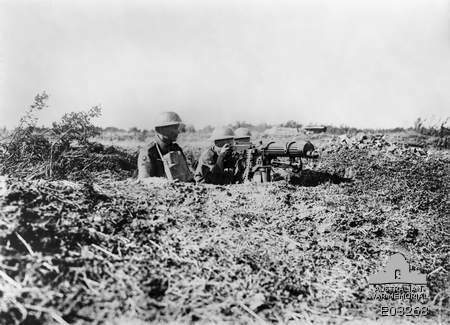 Thus the 5th Machine Gun Battalion was allocated to the 5th Division and comprised the 8th 14th and 15th Machine Gun companies representing the Brigades of the 5th Division, plus the 25th MG Company, part of a clutch of five MG Companies numbered 21-5, created to give each Brigade a fourth MG Company. This arrangement was all about command and control and the ability to concentrate a valuable resource like fire support. “Concentration of Force” is a key principle of war and thus artillery and other fire support is always controlled at a high level to make best use of its capability. 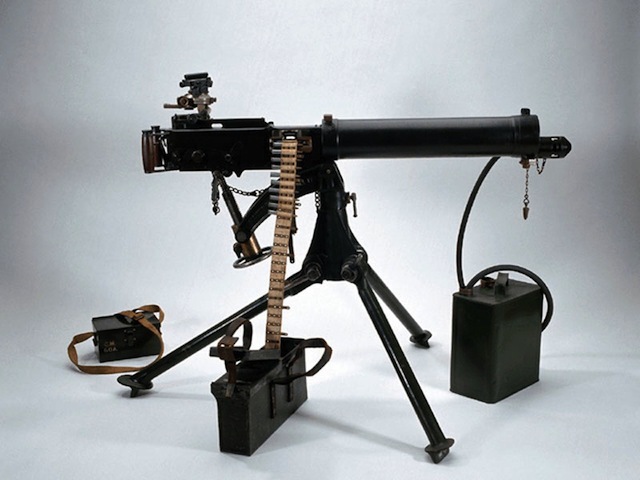 Either way both Machine Gun companies and battalions were employed on the basis of providing the formidable fire support that massed machine guns were capable of. The elements of the MG Battalions and Companies were allocated to sections of the line in detachments of varying sizes depending on the task, but generally as a minimum in pairs as a 'section'.